Past the ranch site on the Green River the road continues along the river and eventually turns to gravel. A road splits off to the right, "..steep, rough, and suitable only for 4-wheel drive vehicles", per Tour Of the Tilted Rocks , the 50¢ booklet available by the side of the road. We instead continue to the left to the petroglyph site. 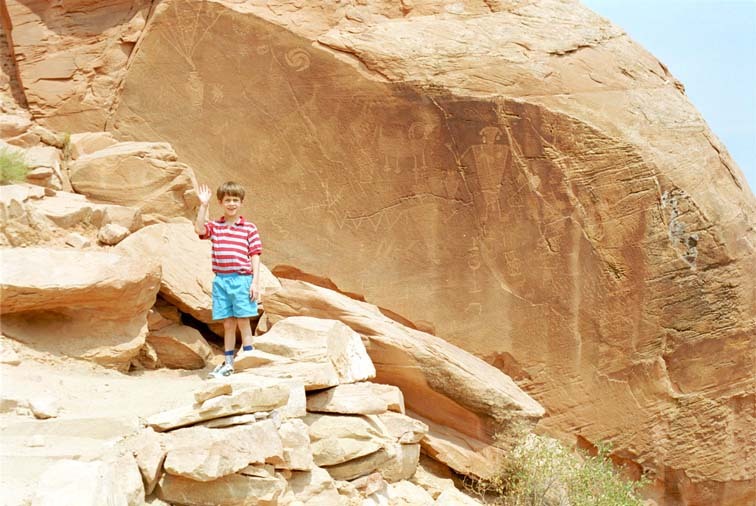 Here, native Americans a thousand years or more ago scratched figures into the rock. 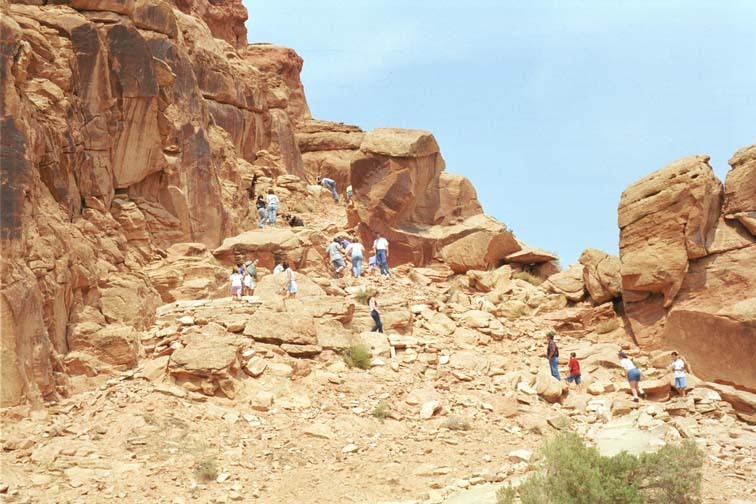 The cliffs are red sandstone which has a black stain on the surface. The scratched designs therefore appear red on black. Several vans had pulled up at the base of this site. 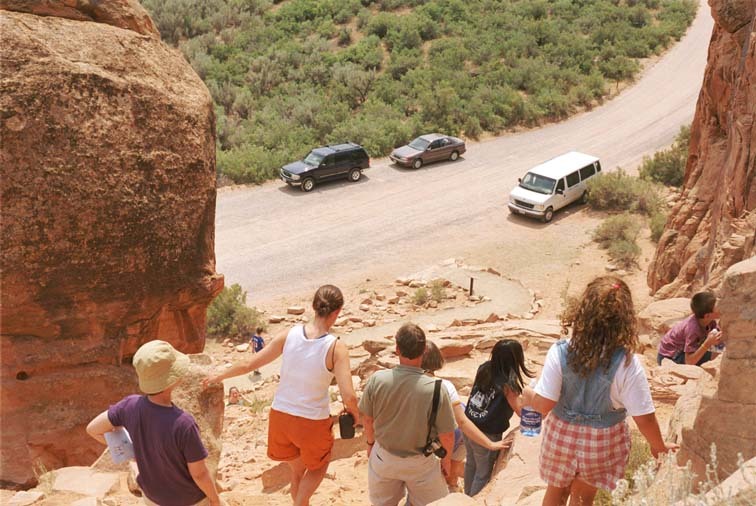 We came upon all these people clambering up the hillside to see the petroglyphs and the view. On the way up the trail we stopped for a photo. 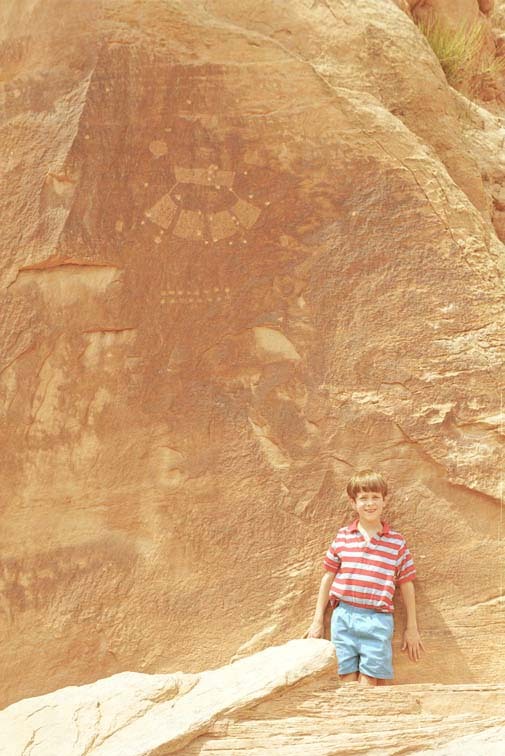 These petroglyphs were near the top of the trail. And of course, everybody had to go back down.